Wisconsin Chimney Technicians are the premier Brookfield chimney sweeps. 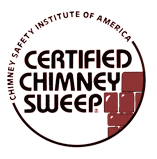 Over 30 years of experience and ongoing training make our CSIA certified chimney cleaners truly the best to bring superior service to your home. Routine chimney maintenance is important to keep your chimney running smoothly, providing your family with a safe and comfortable Wisconsin winter. From inspection to full chimney replacements, let our friendly, experienced staff take care of your Brookfield chimney needs. 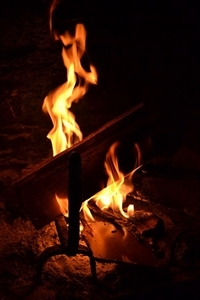 See chimney service reviews from satisfied customers in Brookfield! During the long, intense Wisconsin winter, your chimney works overtime and a common result is buildup of soot, creosote and debris. This can be hazardous to the chimney structure and even result in a chimney fire. It’s important to have our Brookfield chimney cleaning specialists perform an annual cleaning on your chimney to keep it in top shape and eliminate potential problems. 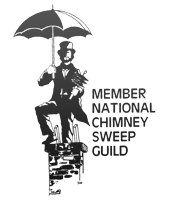 Keep your family safe with routine chimney maintenance performed by Brookfield’s top chimney sweeps. If your chimney is in need of work, call the best chimney repair specialists in Brookfield. Wisconsin Chimney Technicians offers full range repairs to get your chimney working like new. With superior attention to detail, our friendly, experienced Brookfield chimney experts can handle all chimney repairs from flue resurfacing to heavy mortar repair. It’s important to take care of even minor damage, which can grow over time. Make sure to keep your home and family safe, call the Brookfield chimney repair specialists at Wisconsin Chimney Technicians to take care of any damage as soon as possible. An old or neglected chimney can be hazardous to your family. If a chimney is not properly maintained, smoke and toxic gases can be vented into your home. Rather than tearing down the entire chimney, Wisconsin Chimney Technicians has a simple solution. A new high quality aluminum insert can be installed between the flue and walls to protect your Brookfield home from the hazards of a worn inner chimney. Let the Brookfield chimney relining specialists at Wisconsin Chimney Technicians help you get your chimney back to quality working condition. Wisconsin Chimney Technicians’ expertise doesn’t stop at chimneys. The Brookfield specialists offer a full dryer vent cleaning service to keep your dryer running smoothly and your home safe. During a dryer cycle, some lint gets past the filter and clogs the vent. The clogged vent prevents correct airflow causing the dryer to function improperly. Trapped lint can even become a fire hazard. This is often overlooked, so don’t let a clogged dryer vent cause a problem for your family. The friendly, knowledgeable staff at Wisconsin Chimney Technicians can help make your Brookfield home safe by returning your dryer to working order. Long Wisconsin winters can take a toll on your chimney. It’s important to keep it running smoothly and efficiently. Wisconsin Chimney Technicians offers a full inspection of all parts of your chimney. Our helpful technicians inspect every aspect of the chimney and its inner workings including the flue and chimney top. Our Brookfield chimney inspectors discuss any findings and offer advice on the next steps which should be taken. Make sure to schedule an annual chimney inspection with Wisconsin Chimney Technicians to ensure your Brookfield home is safe and your family is comfortable all winter long. Contact the Brookfield chimney sweep specialists at Wisconsin Chimney Technicians to learn more about our extensive repair, rebuilding, inspection and cleaning services!